There is a delivery charge of $9.99 if you just want to claim the Bundle. However, if you spend just $15 whilst claiming you qualify for free delivery. The SiS GO Isotonic Energy Gel was the world's first isotonic gel effectively delivering an easily digestible (to help avoid stomach trouble suffered with many other gels) and quick supply of carbohydrate for energy during exercise. 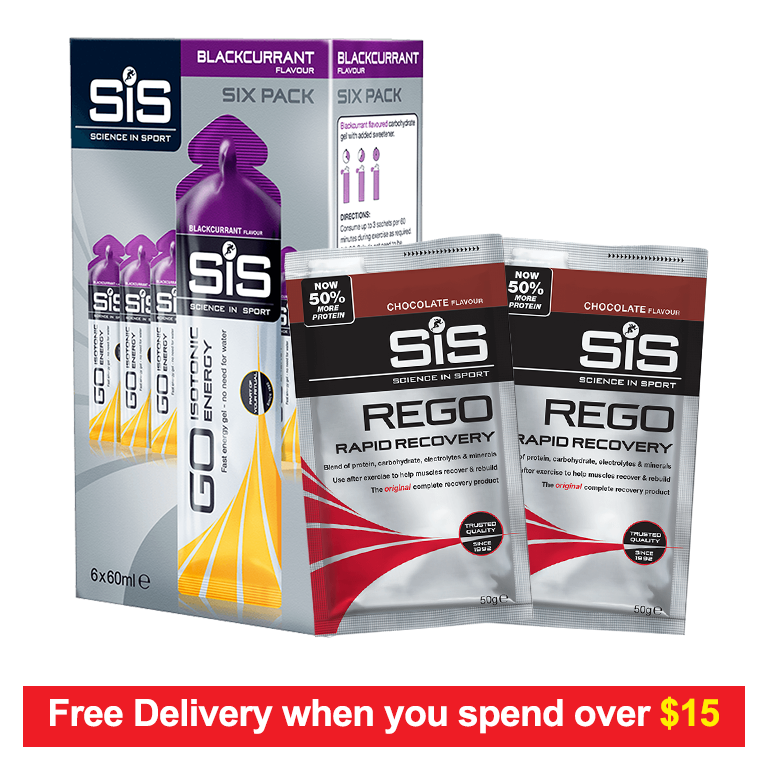 SiS energy gels provide a fast energy boost with no need for water, in easy to open packaging. For details of the specific products, please view the links below (open in a new tab).